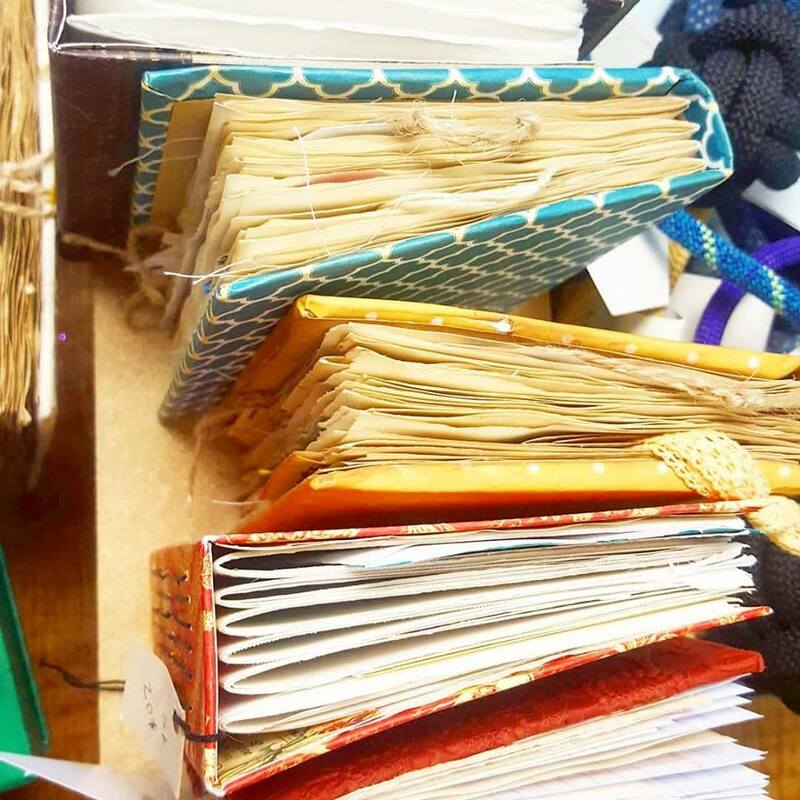 THE BOOK MAKING WORKSHOP $25.00 Come learn how to make beautiful books with recycled items from Clever Octopus! Start with simple packaging materials, papers, and thread. End with a boost in creative confidence and a lovely book that can be used for sketches, journaling, or memory keeping. *Please note this is a two-day event on January 19 and January 26. Price includes all materials.